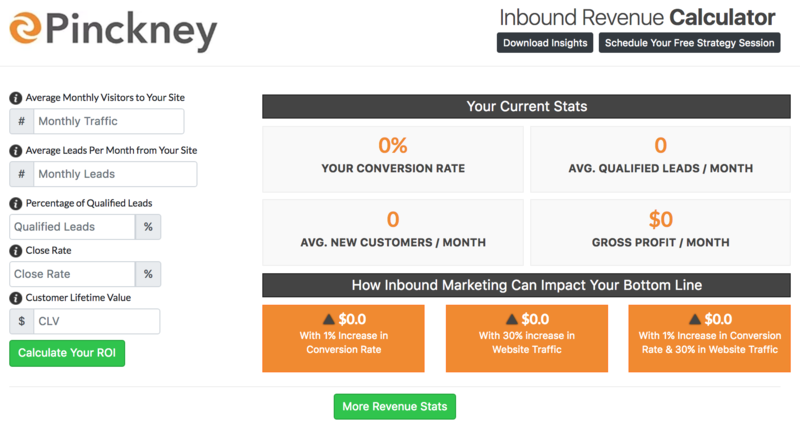 Use our free inbound revenue calculator to see how inbound marketing can impact your bottom line. Here's a quick preview of our free tool. Fill out the form above to give it a try using your company's stats!